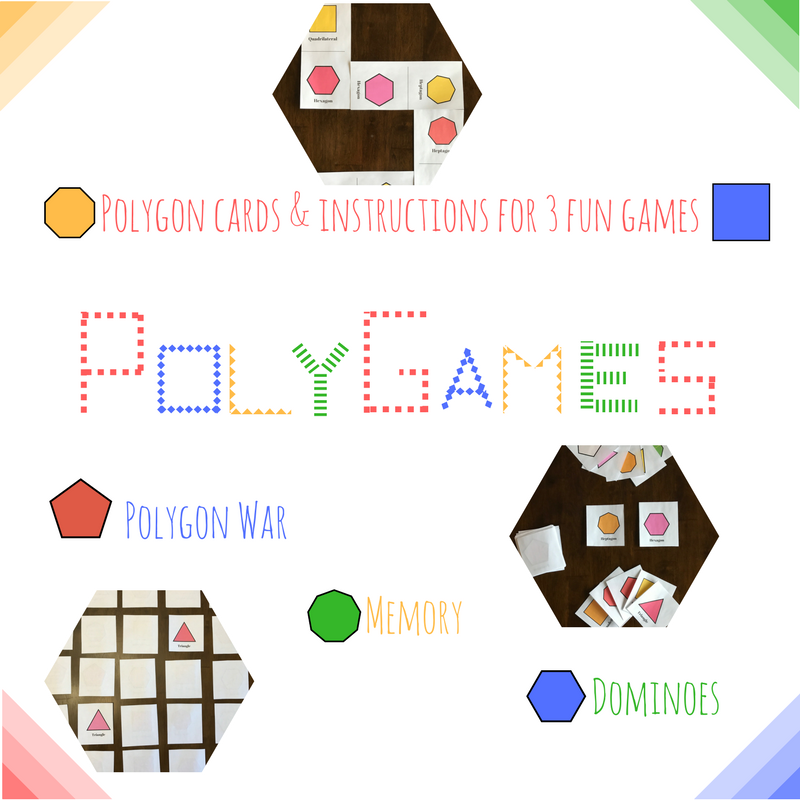 The package contains a set of 3 game ideas, each with their own rule sheets for students (and some information for teachers as well). 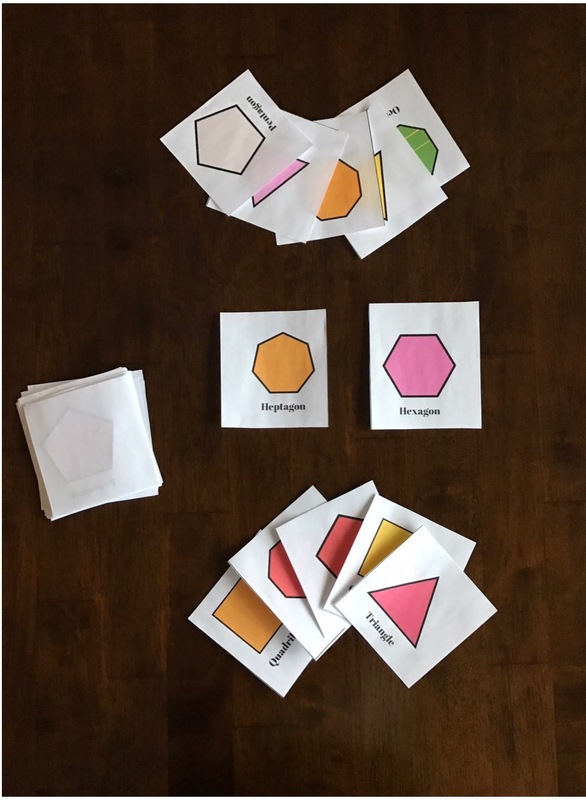 Also included are 40 shape cards with labels (triangle, hexagon, etc). You have the option of printing in color OR black & white. The cards are meant to be printed on card stock, or placed on a construction paper backing and laminated. This package is great to use during Math centers. This is a twist on the original card game called “War”. Instead of the player with the highest number winning, the player who has the shape with the most sides wins! 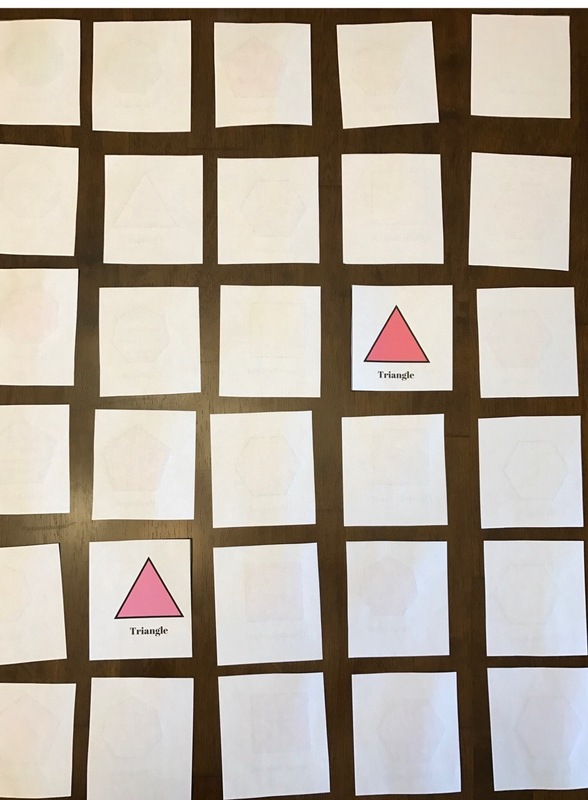 This game is meant to get kids familiar with recognizing how many sides each shape has. 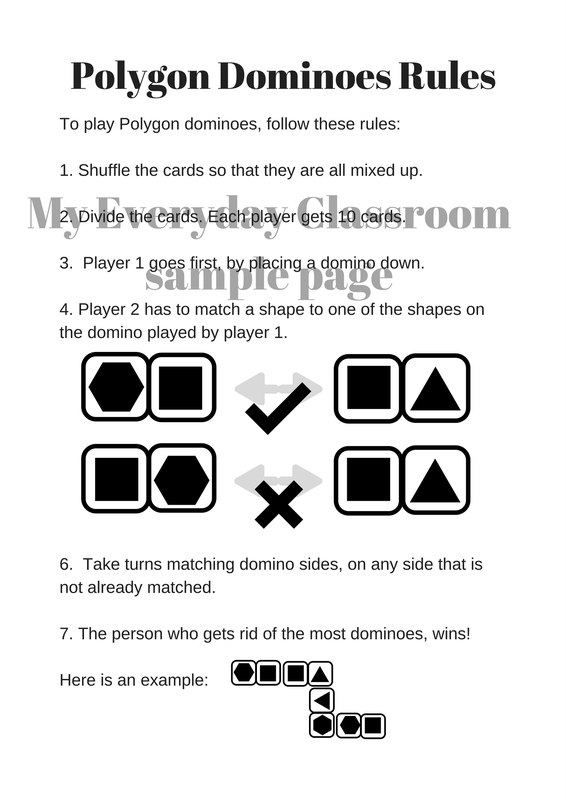 Here is another classic game, but instead of numbered tiles, students match two-sided shape cards. 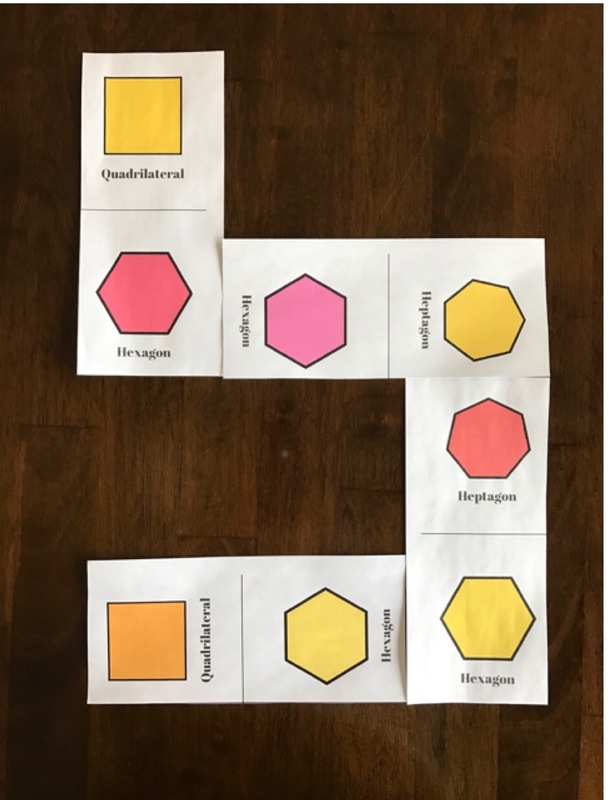 This timeless game strengthens memory skills, while having students search for similar attributes (color & shape). How do you make Math more fun? Leave a comment below ↓.